A few more thoughts on the best romantic comedy in years. Around here, we make a lot of qualitative judgments about film, and when we’re talking about a film’s quality, we’re usually talking about its ability to be both something we recognize and something entirely different. That first part is important — familiar themes and characters give us our bearings and pitch our expectations in the appropriate direction. At the same time, we also want something we’ve never seen before. We’re constantly heaping praise on films that redefine or deconstruct genre cliches and give us little gifts we never even knew we wanted. There are a few hard and fast rules that govern what does and doesn’t work in these cases, but there's also a lot of subjectivity. 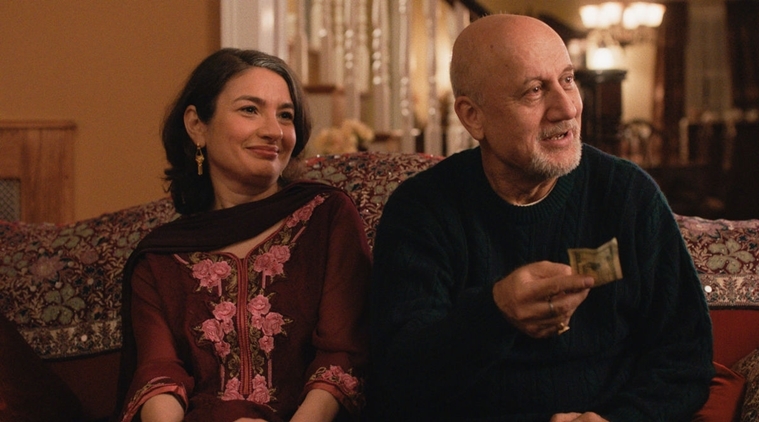 The point of all this is to say that the best parts of Michael Showalter’s The Big Sick don’t necessarily announce themselves on the surface, nor do they ring true or effective for every moviegoer. There’s no big kiss, for example, and not one person runs through a single airport. That might piss you off. But while the film denies us the usual indulgences of the standard romantic comedy, it does retain the important subtext of those moments. In a way, that’s almost better. Kumail Nanjiani is a struggling stand-up comedian who moonlights as an Uber driver to make ends meet. He lives with an obnoxious roommate and generally underachieves. Usually, we set up a protagonist in this way in order to endear him to the audience. We’ve all underachieved (well, not me. But you normal people, sure), and Kumail is even given a squad of less funny comedian friends (Bo Burnham, Aidy Bryant) to show that while he’s a nerd, he’s also their king. He wants success as a stand-up and looks forward to the Big Competition that’ll help him achieve it. Then there are his parents (Anupam Kher and Zenobia Shroff), strict Muslims who expect him to marry an eligible Pakistani girl of their choosing. Kumail sees this as an empty exercise that will never yield a truly interesting romance and, by using the time he’s supposed to be praying to play video games, also demonstrates a disinterest in his family’s religious traditions. This is the Ordinary World, life without a ticking clock. There’s no real reason for Kumail to change because there aren’t yet any stakes. He’s relatable. We like him because he seems flawed, charming, and smarter than his friends — the way we all see ourselves. So far, so familiar. Enter Emily Gardner (Zoe Kazan), who seems like just the empty vessel for male empowerment that Kumail might benefit from bumping into. But she isn’t. She’s charmed by him, sure, but she doesn’t exist solely to teach him simple lessons about how to be a decent human being. She’s not lowering herself to his level because he has mystical Man Powers that make women swoon. They have genuine chemistry and she has a genuine line that she refuses to cross. When Kumail confesses that he’s going to choose his family’s approval over any long-term commitment to her, she breaks it off. It stays broken for nearly the entire remainder of the film. She’s in a coma for most of it, sure, but that doesn't change anything. She’s not being flippant, belligerent, or unreasonable. She’s not fielding other offers from more successful men whose posturing blinds her to the simple truth of Kumail’s understated supremacy. When she says she’s “not dating right now because she needs to work on herself,” it’s meant literally. She’s in a crisis, and no amount of dramatic soul searching on Kumail’s part is going to change that. It’s an amazing take on the “second act misunderstanding” that defines the romantic comedy genre in a shallow and frustrating way. Better yet, Emily is the same person when she wakes up. Nearly dying doesn’t make her desperate or reduce her self-worth. It might sound like a minor point, but it’s impossible to overstate how refreshing it is that the dramatic beat on which the entire film is built — her sickness — never directly influences Emily’s decision-making process in terms of her relationship with Kumail. Yes, he demonstrates an incredible amount of resolve and devotion by staying by her side and dealing with her parents (Ray Romano and Holly Hunter) in an impossibly awkward situation for which he was not at all prepared and has no real reason to believe will pay off in his favor. But as Emily says later, that’s for him. That’s his journey, not hers. Even his bag of devotion — a beautiful scene in which he gives Emily a collage of his hospital visitor’s passes and other tokens of his affection — fails to move her entirely. She is never weaker because she was sick. Coming to his stand-up show in the film’s final moments is a decision she makes completely of her own accord, far removed from her sickness and recovery. In short, Emily’s coma teaches Kumail about himself without creating false drama for her. None of this is to say that The Big Sick looks down on romantic comedies (or that anyone should); it clearly loves the genre desperately enough to embrace its most effective and resonate qualities. But like those great films mentioned before — the ones that give us that mix of something old and something new — The Big Sick uses the tangible details we’re familiar with without reducing them to easy cliches. When Kumail and Emily fight, it’s about complicated problems with no easy solutions. Emily’s mother Beth (Hunter) is a real person with real concerns about her daughter’s happiness and safety. She’s stubborn, but not stupid. Her father Terry (Romano) is a conscientious guy with his own hangups and insecurities about the choices he’s made and how to live with them. Neither of them rejects Kumail because he’s a Muslim or begs Emily to get back together with him because he’s so caring and wonderful. The film is far more interested in how Kumail’s misgivings about his past influence his future and Emily’s place in it. It’s far more interested in the way love complicates the visions we have for ourselves and the lives of those we care about. It’s interested in uncertainty and awkwardness — the kind of trepidation familiar to anyone who’s spent more than a night in a hospital. It’s interested in real stuff. Quality stuff. The best stuff. Great article. Props to Rob for the twitter praise from Emily!